Passionate, highly motivated and proactive, Cristina has several years of experience in the Media and IT business across several functional areas. Adaptable, a quick learner and good communicator, this professional is searching for an opportunity to apply gained experience and skills in a new exciting opportunity. - Coordinates communication between Microsoft, Payment and Business Intelligence vendor to insure that all fee statements and payments reach partners in a timely manner across all Online Services Channel Incentives. - Engages regularly with Partners, Distributors and Large Account Resellers for Readiness in new programs, incentive models and escalation resolution. 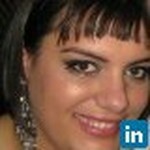 Join Today to follow and contact Cristina Afonso.